The insurance industry keeps evolving with launch of new products, regulations and methods of working. This correspondingly reflects on the job requirements in this industry. The aspiring candidates need to get themselves acquainted with the latest additions in terms of products and other aspects. So whether your intention is to work as an insurance underwriter, or a sales person in this industry, your resume needs to highlight the latest skills for making a difference positively. While drafting the profile document for working in the insurance sector, remember to promote new skills acquired along with the certifications and achievements. The most common problem with candidates is to draft profiles that are devoid of numbers. The insurance sector is all about numbers and the aspirants need to include pertinent numbers such as premiums collected, loss ratios, clients added and revenue collected. These number fascinate the employers as they are important for sustaining in this domain. While drafting the profile document, remember to utilize the experience section for citing specific points such as achievements and financial acumen. 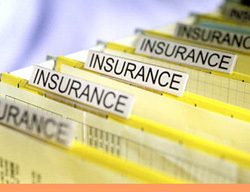 You need to also include certifications received related to the insurance sector. Use chronological format and keep the resume clear enough for being easily understood. You can check the samples and format provided below for better understanding. Objective: Your insurance resume must include a brief headline that encapsulates your career goal and one or two of your top qualifications. For example: 'An executive level position in the insurance industry'. Summary: Example - 'Proven sales ability. Highly organized and efficient. Extremely capable manager and leader. Proficient in all phases of organizing and coordinating projects, meeting deadlines and budgets'. Education: List the highest degree first. Skills: Use action verbs and keywords pertinent to your job profile to describe your skill-set and achievements. Summarize your strengths and qualifications at the top half of the first page of the resume, under sections like 'Professional Profile' and the 'Areas of Expertise'. Experience: List the most recent first. Emphasize on your achievements in the experience section of your insurance resume. Describe your basic job responsibilities, followed by a bulleted list of achievements. Show quantifiable results of your work. Activities: Campus and community activities; Memberships in professional organizations. Personal: Certifications, special awards, citizenship etc. Buzzwords: It is important to include necessary technical terms to let your future employer know that you are very well familiar with their industry.